Iberflora, International Fair of Plants and Flowers, Gardening, Landscaping, Technology and DIY Garden, He has called one year more the Iberflora Cup of Floral Art (CIAF 2018), It will take place on 3 and 4 October in space “Round of Florists” de Iberflora. In collaboration with the Spanish Association of Florists (AEFI), they have organized a contest that encourages innovation, technique and creativity of the florist through the fusion of different artistic disciplines within the floral art. This last purpose is the promotion of the image of the florist sector and the consumption of flowers and why participation is open to all professional florists of Spanish nationality who develop their business activities of Florist in Spain, a call that will remain open until the next 14 September. 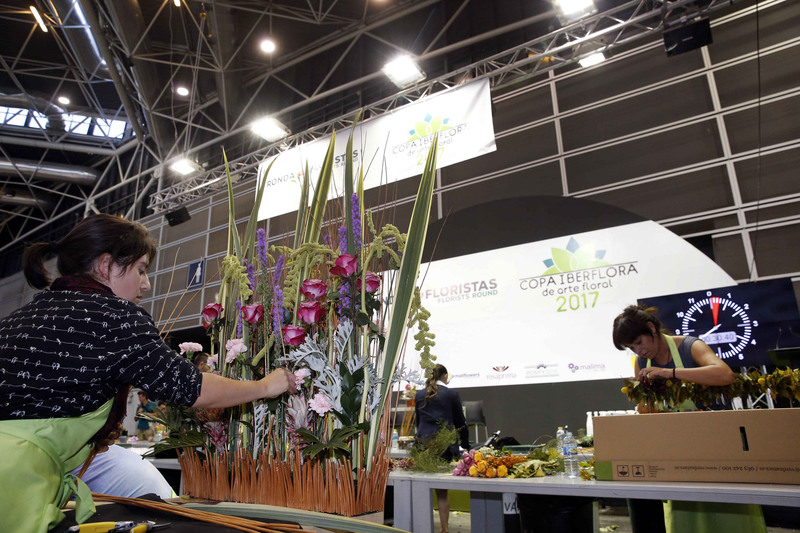 Florists will compete for two days with the aim of taking up as winners of the competition, which means an award of 10.000 euros in products of the sponsors (suppliers of flowers). The CIAF 2018 will consist of 4 testing, two of these eliminatory and that will take place during the first day, the 3 October. The first test will consist in the development of a bunch of hand whose theme will be the work "The Kiss", modernist work of 1908 the Austrian painter Gustav Klimt. The contestants will benefit from 85 minutes to carry out the test, time which includes the choice of material, sketch, justification, execution and cleaning. In the second test the contestants will conduct a composition of plants, under the theme "La Valse d' Amélie", one of the main themes of the film “Amelie”, the popular French romantic comedy of 2001 directed by Jean-Pierre Jeunet. This time the time to carry out all of the test will be of 80 minutes. After the end of this test, late in the day 3 October, We know the finalists competing in the next day for being the winners of the contest. The third test will consist of developing a wedding based on the film "Breakfast with diamonds" composition (Breakfast at Tiffany's) directed by Blake Edwards and that the role and the look the protagonist, played by actress Audrey Hepburn, It has become an international icon. The test will have the duration of 115 minutes for complete execution. The last test, and after that finally will meet the winner of the contest, It will consist of the preparation of a composition of the atmosphere of a “seating plan of a rustico-chic style wedding”, for which the contestants will benefit from 140 minutes. The endpoint for the CIAF 2018 will the system of 100 Florint points (International Organization of florists), used in other important contests of floral art and sounds familiar to those florists used to compete in this type of tournaments.